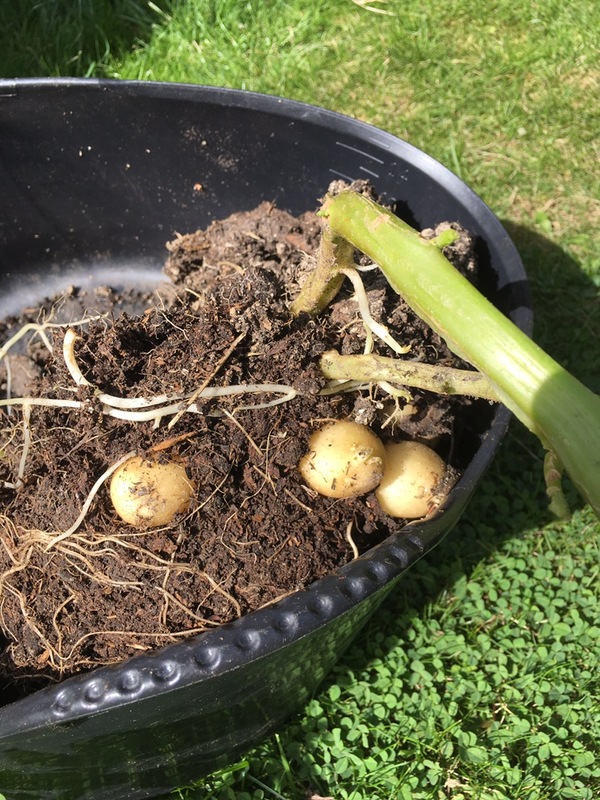 Well this is a little exciting, it’s our first little crop of little potatoes! Here we have charlotte, maris peer, and maris piper, ready for the pot. 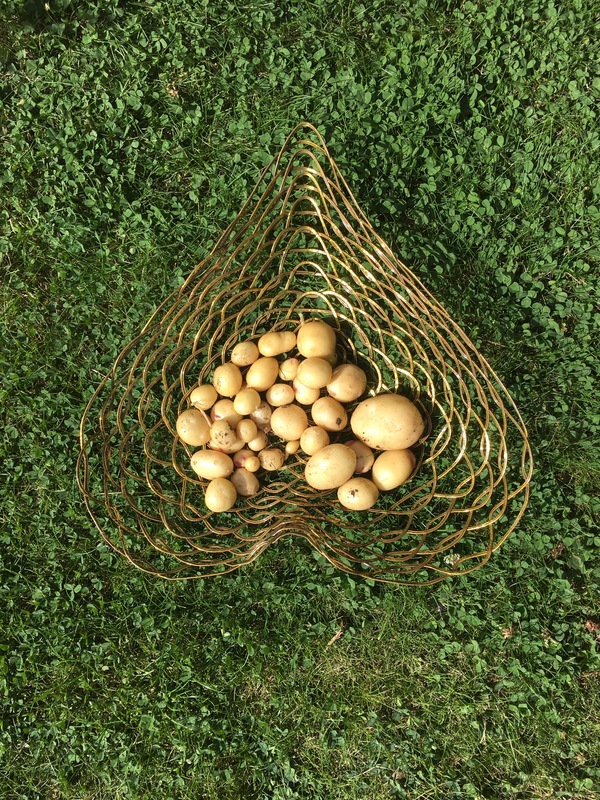 We emptied three of the potato bags to get this little harvest. Regular readers may recall that these were from a Suttons Seeds starter pack, which I’d been ‘chitting’ since February. 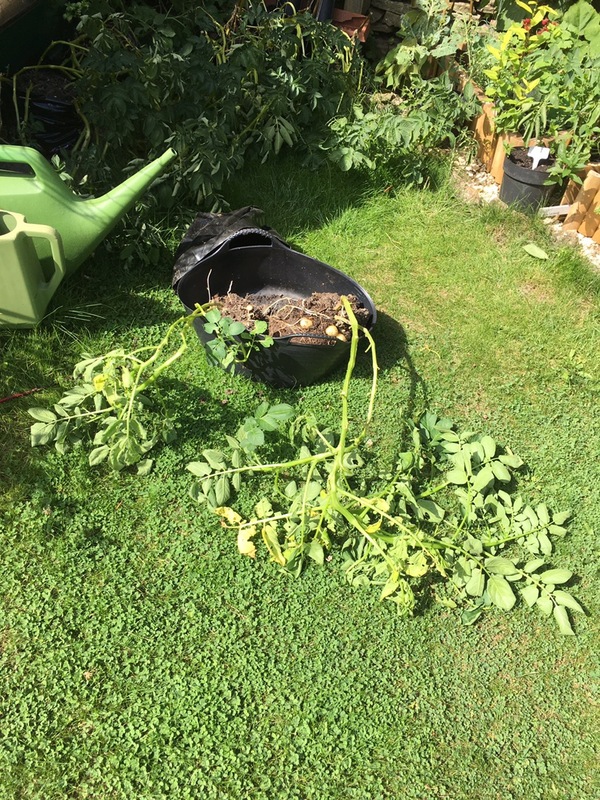 I calculated that the ‘starter pack’ which included 80 seed potatoes could potentially make over 1000 spuds, but planting them out would take up almost half the garden! So I planted them into potato bags and squeezed them in where I could. In hindsight, these were too close to a wall and grew into very leggy plants, desperately seeking more light. I put later potato plants in a sunnier spot, these are much less wonky! 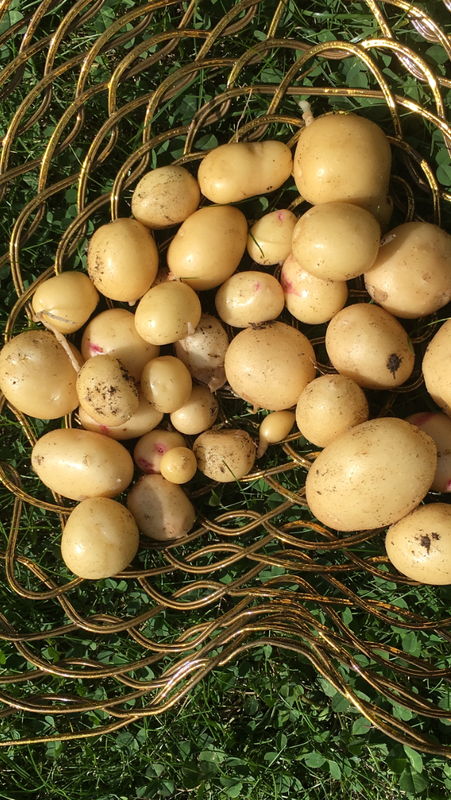 But these early plants had flowered and it was almost 12 weeks since planting, so we emptied out a few bags to harvest our first spuds. 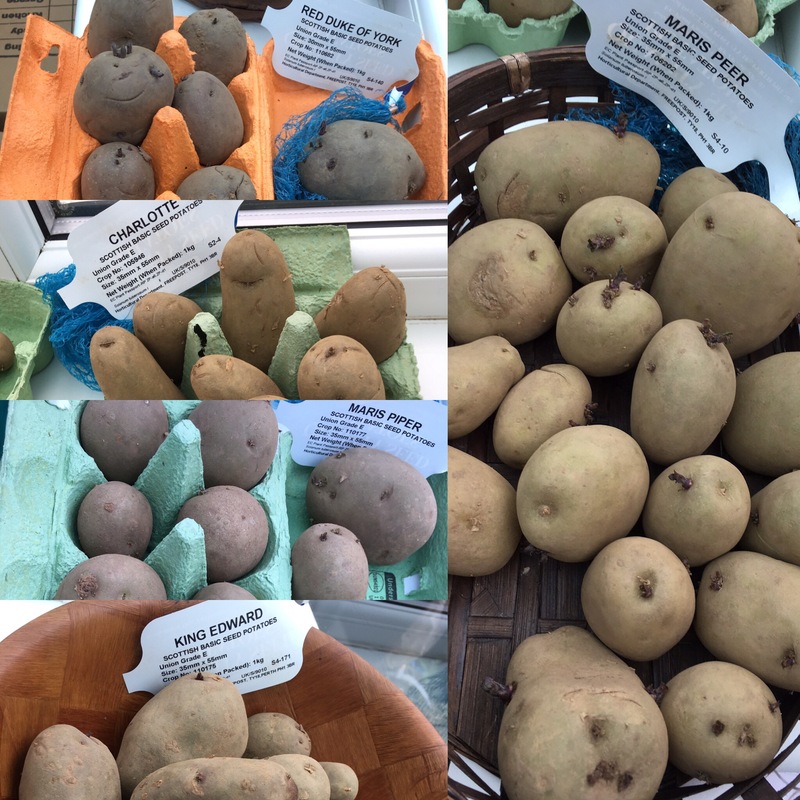 Perhaps this was a tad premature, as there are some very small spuds! But there’s hopefully some good flavour in these little spuds. Sometime after dinner I’ll let you know!